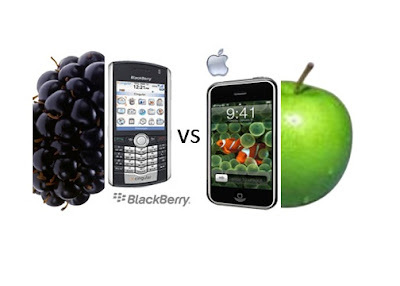 Its one of life's most hardest questions that every person has debated over: should I go with Research In Motion's BlackBerry or Apple's iPhone as my handheld provider? 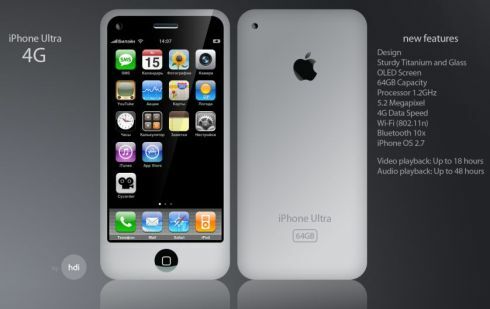 Right now I am contemplating which avenue I should go for with my next phone. The iPhone: Many of my friends have iPhones and are constantly in class or in the cafeteria just flipping away with their thumbs when they are bored and not paying attention. Two friends of mine, Natasha and Deanna, both have iPhones and could be the metaphorical spokespersons in my life for positively promoting their handheld. They each constantly brag about it's value and point out that with the iPhone I would be able to have a bigger selection of applications at my disposal, the touch screen application for the phone is more easier to handle than the Blackberry, and its easier to search the internet. Are a lot of applications really what I need? 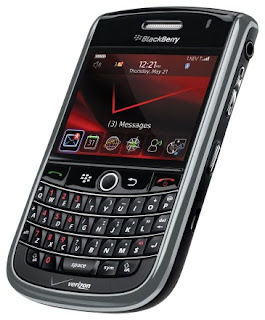 The BlackBerry: This has become the top contender for me so far because of the career field I am entering in. My brother, Paul, and a friend, Katie, would be the two people in my life, like Natasha and Deanna, who have talked positively about their phone choice and their choice was BlackBerry. 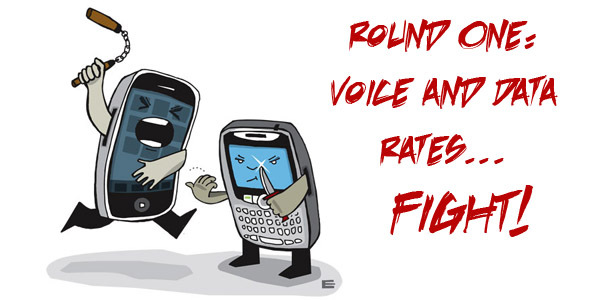 They both pointed out that the simple choice is always the best because BBM is becoming the hot chat option; a large majority of my friends are constantly posting their BBM pin number for people to add. Texting would be much easier for me since it would provide all the keyboard buttons that would make messaging all my friends and contacts quicker to meet deadlines and time crunches; also I text very slow but can type incredibly fact...best way to combine both methods. Also the BlackBerry does have some important applications that I could download to the phone at any time. Texting would be much easier but is that enough? It's going to be tough to choose between both handhelds and I've already narrowed it down from other provider companies to these two brands. Once my plan finishes then I need to choose which one I want and we'll see by then what these two companies have developed in that time. I hate to spend too much a month on the phone bill and I know once I buy one then I will have to be paying it myself, but I know that it will be worth it. Right now, I'm stuck at where I will go but the fight will continue on for these two companies. Let's just see what happens when the rumored BlackPad hits stores and fights against the iPad for sales. It's going to be tense and the line will be drawn, but which side will you be standing on when the line divides? I got some time to think so please don't smile and laugh when you see me pull out my flip phone and spend three minutes trying to text with the buttons, concentration is key.